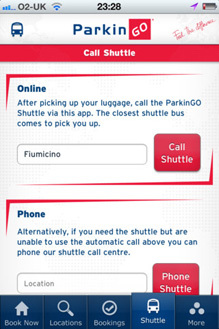 ParkinGO is the best App to easily locate and book a parking space nearby the principal Italian airports. 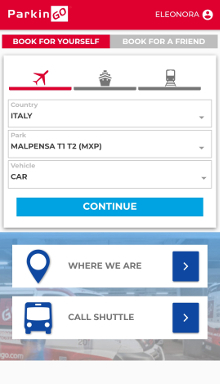 Through its multiple features, it allows to locate the ParkinGO stations, to book your parking space and eventual additional services you may be interested in, to inform our front desk that you have landed and you need to be picked up at the airport terminal just by touching a botton on your smartphone. 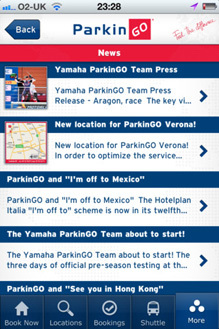 Of course, you can access all contacts and latest news at your fingertips. 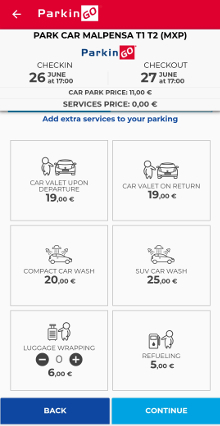 Last but not least, our App is directly conneted to ParkinGO management software and therefore it's able to gain points valid for ParkinGO Loyalty Program.